For a user who loves using media Windows 10 offers you promising apps. While using built-in video platform the OS offers end number of options to control the video playback. The built-in options in the OS are Movies & TV, Edge and Photos. There are even few third-party apps like Netflix. 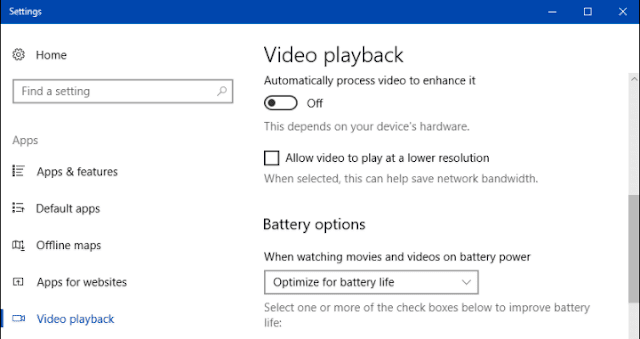 To enhance the effect of the videos you can now automatically process video in case you possess an HDR monitor. 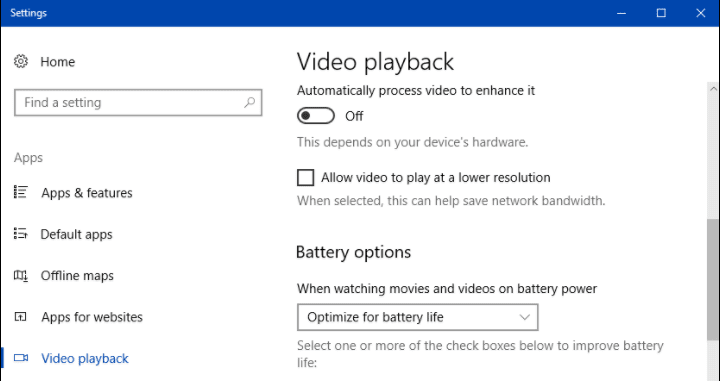 The Apps option in the Settings has incorporated a new part called video playback. Streaming videos in the in an HDR monitor gives you a different feel of watching videos. Not only this the settings page also provides us with battery settings that optimize battery for a better battery life.